Clear communication is at the heart of Prysmian’s operations. Nowhere is this more fundamental than in our focus on sustainability. In line with our corporate objectives, and to understand the various needs, interests and expectations involved, we always aim to maintain constant dialogue and interaction with our internal and external stakeholders. Establishing and developing these clear lines of communication, founded on transparency, openness and listening, allows us to understand the constantly changing expectations and requirements of our stakeholders. These relationships are crucial as we develop structured processes that will help us identify emerging trends and predict future changes. 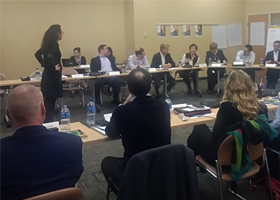 Receive suggestions from stakeholders to improve products and processes. Improvement of management of risk and reputation. Inform, educate and involve stakeholders to help them improve their decision-making and actions, for the good of the Group. Contribute to the development of relations with stakeholders based on trust and transparency. At Prysmian, sustainability is always far more than a concept to be discussed. We’re constantly analysing, mapping and prioritising sustainability issues and initiatives that matter most to the Group and its stakeholders. Our ‘materiality analysis’ work began in 2014, and has been maintained and updated ever since. 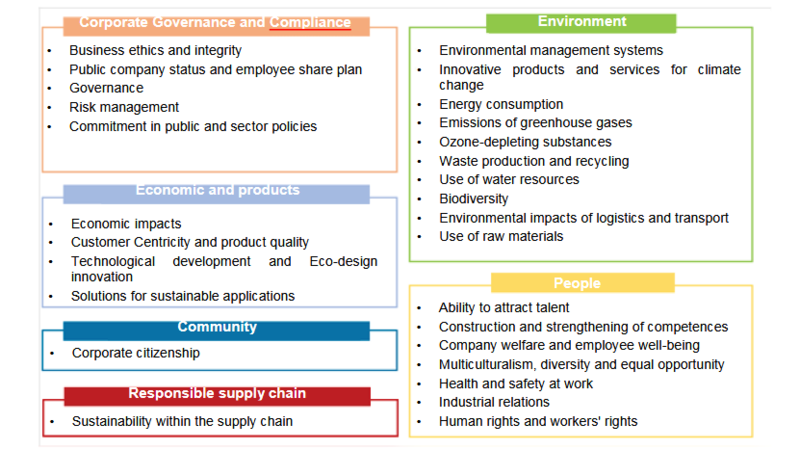 We’re constantly identifying the issues with a significant economic, environmental and social impact on our organisation and influence the decision-making of stakeholders. Understanding the viewpoints of stakeholders is vital, if we’re to continue to generate shared value over the short, medium and long term. Consistent with the ‘G4 Sustainability Reporting Guidelines’ defined in 2013 by the GRI – Global Reporting Initiative – our materiality analysis has been updated to reflect its increasing importance as the starting point for reporting on significant aspects of the Group. This work took account of the new needs and requirements of the Group's external stakeholders identified at our latest Multi-Stakeholder Engagement events. 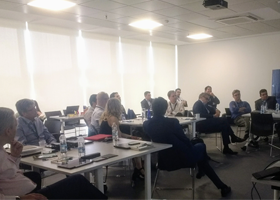 During this yearly based initiative, a group of Prysmian’s external stakeholder representatives are invited to actively participate through open discussions and workshops where they are free to express their opinions on a selected set of topics related to sustainability and corporate social responsibility. Follow up communications activities with the invited stakeholders are been developed. Prysmian Group stakeholders are constantly informed about sustainability initiatives and projects through updates to Corporate website. Our deep commitment in the field of sustainability translates into constant and transparent communication with all the Group's stakeholders, thanks to the annual publication of the Sustainability Report. Through the Sustainability Report, the Group publishes its strategy and commitments, and communicates the performance achieved during the year on all sustainability issues. The Sustainability Report 2017 (pursuant to Articles 3 and 4 of Legislative Decree no. 254/16) was prepared in accordance with the "G4 Sustainability Reporting Guidelines" published in 2013 by the Global Reporting Initiative (GRI), "in accordance Core-option", taking into consideration the information deemed significant for the Stakeholders emerged in the materiality matrix. The "GRI Content Index" is included in annex on p. 153 with the detail of the contents reported in compliance with the GRI.